Pulse followed closely on the heels of IBM’s acquisition of SoftLayer last year, and on its decision to put SoftLayer technology at the center of its cloud strategy. So it’s not surprising that many industry observers viewed the event as a great opportunity to reassess IBM’s cloud strategy at a time when customers are accelerating towards the cloud. How ready is 104 year-old Big Blue to compete in the cloud infrastructure and platform as-a-service (IaaS and PaaS) space against players such as Amazon, Google and Salesforce.com’s Heroku as technology transforms at a dizzying rate? The sweeping range of announcements that IBM unleashed signal that it is now all in on cloud computing. IBM launched Bluemix, an open-standards, cloud-based platform to build, manage and run applications; announced its acquisition of Cloudant, a cloud-only database as a service (DBaaS) for building mobile and web apps; introduced Service Engage, which provides cloud-based subscriptions for systems management; and cited plans to bring Power Systems into SoftLayer’s cloud to support Watson-based analytics solutions. In addition, IBM announced that it is bringing the power of its PureSystems patterns approach to the cloud. Extending PureSystem’s cloud capabilities gives customers and business partners tools to simplify and speed delivery of cloud services across both public and private clouds. First, IBM announced the beta of PureApplication Service on SoftLayer. As background, PureApplication Service uses best practice “patterns” to rapidly deploy specific applications. In a nutshell, patterns are like tried and true recipes to set up, deliver and manage the infrastructure plumbing for a given application. Instead of having to piece together all of the ingredients, customers get pre-formulated virtualization, operating system, middleware, wiring, and installation patterns that dramatically slash the time it takes to stand up an application. Putting PureApplication Service on SoftLayer brings these portable, reusable patterns to the cloud, and opens up new opportunities for new use cases. As important, it makes it easier for businesses (and partners) to support a hybrid IT environment that’s consistent regardless of where the app resides. This will make it easier for some tech-savvy SMBs to take a do-it-yourself approach. But by far, the bigger SMB opportunity is via business partners. For instance, with PureApplication Service on SoftLayer, partners can more quickly move SMB on-premise apps to a public or private cloud, and spend more time on higher value-added business process services. It also provides the opportunity to quickly provision new services, with the ability to rapidly access a development and test environment, implement disaster recovery, or provide added capacity for peak use periods. To provide the best experience during the beta, IBM has selected 8 key patterns that deliver mobile, web, database, analytics, BPM and Java capabilities to help clients create new applications on PureApplication Service on SoftLayer. IBM also has several partner patterns available for beta, targeting the financial services industry. The goal is that all 200+ patterns on PureApplication System will become available as a service on SoftLayer by the time the offering is officially launched. Second, IBM announced a soft-bundle to help clients jump-start DevOps with PureSystems. IBM’s PureSystems integrate networking, storage, scalability, virtualized environments, middleware, license management and monitoring into one solution for cloud solution development and delivery. DevOps on PureSystems pulls together key components of IBM’s Rational tool set to make it easier for developers to plan, develop and test cloud solutions, and then to monitor and iterate to meet changing requirements or correct problems. This means that programmers can access a development environment much more quickly and thus dedicate to actually building apps, iterating on the code, and incorporating timely feedback from customers to deliver a stronger solution. Today, DevOps on PureSystems is only available in an on-premise model, but I have little doubt that this too will become available via SoftLayer in the very near future. Again, while few SMBs have internal development teams, this offering—especially once its available in the cloud—should help IBM woo more next-generation developers to its fold. 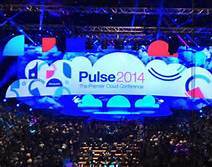 For more on DevOps on PureSystems, see an IBM blog discussing DevOps at Pulse. IBM is betting big on software development for the cloud, with a $1 billion investment in cloud software development on tap through 2015, representing a double-digit percentage increase over the past two years. The PureSystems announcements—in combination with those for BlueMix, Cloudant and Service Engage—underscore that IBM also intends to get out in front of the next generation of cloud development and delivery. More automated, integrated and accessible cloud delivery and development solutions will fuel new development and delivery options for IBM partners, and help more customers—including more SMBs—to benefit and get more value from the cloud. For additional perspectives on IBM’s PureSystems announcements, watch my interview with Pete McCaffrey, Director of PureSystems Marketing, recorded at Pulse. Disclaimer: I attended Pulse as an invited media guest. Previous Previous post: Can IBM Make the Collaboration Connection With SMBs?